I have been asked to moderate a panel, and there's a chance I'll be holding a microphone. I'm a little nervous that my hand will shake. Do you have any suggestions? A woman I had coached on presentation skills recently emailed this question to me. She raised an important issue. How do you use a microphone so that it amplifies your voice but doesn’t become a distraction? You don’t want your listeners to pay more attention to the microphone than to what you are saying. 1. Arrive early at the meeting room and practice using the microphone. Make sure the volume is set at an appropriate level. --If you are using a hand-held mike, do not gesture with that hand. When you are listening to a question, or to other speakers, lower the hand in which you are holding the microphone. --If you are part of a panel and seated at a table with other panelists, your microphone probably will be placed on a stand. Since you don't have to hold it, you will be less likely to play with it. --If you are given a lavalier mike, it will be clipped to your clothing so you don't have to hold anything. Remember to turn off this lapel mike when you are not presenting. I will never forget the time I forgot to do so, and went to the bathroom with my mike on! 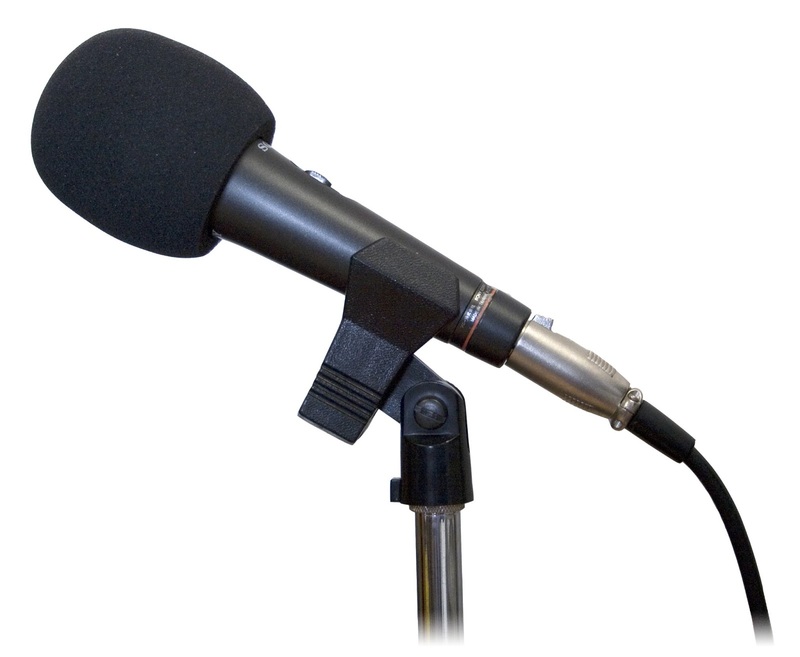 --If you are standing behind a podium that has a microphone mounted on it, you won't have to hold the mike. However, this is not an ideal place for a speaker to stand. You want to be able to walk around. If you can, use a lavalier mike. 3. Remember that the more you worry about something, such as the possibility that your hand might shake while you are holding the microphone, the more you are likely to pay unnecessary attention to it. Chances are people won't even notice the microphone unless you draw attention to it. Your audience wants to hear what you have to say. If you speak clearly and with confidence, you will have their attention. More presentation tips can be found in my new book, The Essentials of Business Etiquette: How to Greet, Eat and Tweet Your Way to Success (McGraw Hill). Reserve your copy now at Amazon. This is for the first time I've come across some tips to handle the mic effectively and to your advantage. Loads have been written about presenting, presentation, powerpoint and all other related stuff... Sure, these tips are going to be quite helpful. Thanks Barbara! You are correct! Understanding the little things about making a presentation can make a big difference in your success! i appreciates the choice of words being used in this post and would like to add my experience being a user of such products. I too uses a Microphone . its a useful product for the bussiness tycoons.